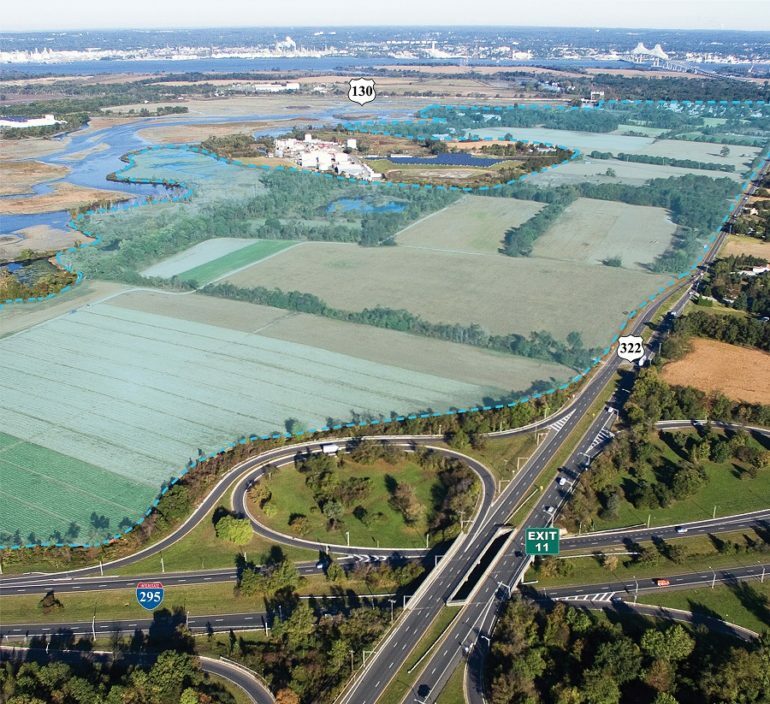 A joint venture has picked Cushman & Wakefield as its leasing agent for more than 3 million square feet of planned warehouse and distribution space in Gloucester County. The firm on Friday announced that it was working on behalf of F. Greek Development and Advance Realty to lease and market the complex in Logan Township. Known as Logan North Industrial Park, the development is slated to include about 3.3 million square feet of new logistics space at 2858 Route 322, with a footprint spanning 415 acres. Managing directors Matthew Marshall and Jeffrey Williams and Vice Chairman Chuck Fern are heading the assignment out of C&W’s Conshohocken, Pennsylvania, and Iselin offices. The assignment comes after C&W brokered the sale of the property to Greek and Advance in late 2016. At the time, the brokerage team touted it as the largest industrial land site not associated with a deep-water port that was sold in New Jersey that year. Plans call for 11 buildings ranging from 90,000 square feet to 1.1 million square feet, with build-to-suit opportunities. The brokerage and development team said design features will include 40- to 45-foot maximum ceiling heights, slab-on-grade construction with live floor loads that exceed 500 pounds per square foot and “industry-leading” trailer parking and loading ratios. They touted the complex’s location midway between New York City and Washington D.C., with proximity to the region’s deep-water ports and transportation infrastructure. The park provides direct access to Interstate 295, Route 322 and the New Jersey Turnpike, while it is serviced by both the Norfolk Southern and CSX freight lines. “E-commerce trends make the industrial real estate market a compelling long-term opportunity,” said David Greek, who oversees new development and acquisition opportunities for F. Greek Development. “Philadelphia is quickly evolving as a distribution destination and there is a growing need for modern Class A space in a range of sizes. The marketing team also noted that Logan Township qualifies as a priority area under the state’s Grow New Jersey incentive program.